The rise in e-commerce transactions, as well as flexible return policies and strict environmental regulations, are shifting the focus of companies to their reverse supply chain. For companies to remain competitive and compliant, it has become a priority for businesses across industries — from retail to automotive to electronics — to update their reverse supply chain management, which is a massive undertaking. That’s why many are searching for the missing link to optimum reverse supply chain logistics. What Is Reverse Supply Chain Logistics? Unlike the forward supply chain, which moves from manufacturer to wholesaler to retailer, for example, the reverse supply chain moves from customer to vendor — referred to as a return merchandise authorization (RMA) — or retailer to vendor — also known as return to vendor (RTV). Between the two, it’s difficult to discern which is more common, as it varies by the industry and product, as well as the product quantity and motivator for the return. Acquisition: The vendor obtains the product from the user. Transportation: The vendor transports the products to a designated facility for inspecting, sorting and disposition. Inspection: The facility staff reviews the products, determining the most profitable option for reuse. Refurbishment: The products undergo re-manufacturing or refurbishing to restore them to purchase quality. Distribution: The vendor establishes a secondary market for the products and redistributes them. For many businesses, the process of implementing a well-managed reverse logistics chain is as resource-consuming and time-intensive as establishing a forward supply chain. More returns: Almost 20 percent of everything sold in the U.S. is returned — that high volume of product returns is making reverse supply chain management a hot operations management topic. While companies can implement a strict returns policy to combat the issue, it often takes away from your business’s competitive edge, which is a risk if you operate in a saturated market. If your reverse supply chain is ineffective, however, that can lead to dissatisfaction among consumers due to slow processing times for their returns. More regulations: Another reason industries like the automotive sector are paying more attention to reverse supply chain logistics is the rise in regulations by environmental agencies. In the U.S. and Europe, government agencies are focusing on the recycling and disposal of products with an emphasis on goods that pose an environmental hazard, like computers and refrigerators. In fact, the U.S. requires that companies producing refrigerators acquire them after consumer use due to their hazardous materials. Like returns, regulations also impact consumers — you’re emphasizing whether your brand takes an environmentally-friendly approach. More demands: A newer development in reverse supply chain logistics is the compression of product lifestyles, which stems from the increased need to deliver new products on a routine basis to consumers to drive purchases. As a result, there is more pressure for companies to clear their distribution channels more often, making way for the latest goods. In most cases, businesses will need to use their reverse supply chain to facilitate the return of older products that failed to sell before the launch of the next generation of products. The fast-paced nature of the marketplace is making it a difficult challenge for companies to develop, test and launch a well-managed reverse logistics chain. While some sectors, like automotive, are experienced with the activities required to retrieve a product, such as when salvaging parts, others are less equipped for the task. That’s why many businesses, such as those in the retail sector, are turning to companies that specialize in not only processing high-volume product returns but also in reworking products. Mitigate your losses: As a business, you want to maximize your profits and decrease your losses, and you can do that with industry-best reverse supply chain management practices. With a professional rework partner, you can mitigate the potential impact of unsold or damaged products — like last season’s footwear or clothing shipments with mold — by refurbishing qualifying goods and introducing them back into the market. Increase your profits: Depending on your products, you can also boost your earnings via reworking dead stock into new products. A company that manufactures footwear, for instance, may have dead stock of a certain girl’s shoe that didn’t sell. By adding a bow or other hardware accent, the goods can become a popular seller. Another option is repurposing products, such as an older line of clothing, for a second market. Retain your brand images: A rising consumer trend is an interest in sustainable, eco-friendly brands. In fact, more than 80 percent of consumers make an effort to find companies with a green approach to business, which is one reason companies are implementing green programs. That’s why it’s essential to not only establish a reverse supply chain management process for your company but also promote the quality and reputation of your reverse supply chain through your public channels. Improve your sustainability practices: A business can practice sustainability in several ways, from phasing out paper documentation to integrating well-managed reverse logistics. If you partner with a company that specializes in reverse supply chains, for example, they may have multiple locations across your service area. That feature lets your company minimize transportation times, which leads to decreased emissions and streamlined processes for high-volume product returns. Enhance your competitive advantages: Every market sector is competitive, which is why it’s vital to research and consider how you can distinguish yourself further from the competition. A well-known reverse supply chain reputation can benefit you in several ways. First, you can promote that efficiency and sustainability to consumers. In addition, you can reuse salvaged materials to deliver products at lower prices than your competitors. Lastly, you can rework damaged goods and maximize your profits. A big-box retailer received a shipment of women’s shoes. They’d gone ahead with sending them to their distribution centers, as well as stores across the U.S., ready to engage users with the latest style for the season. What they discovered, however, was that 60,000 pairs featured mold. Unfortunately, it’s not an uncommon problem when manufacturing and importing goods from Asia, and it happens frequently during transport. While the production costs for a pair of shoes vary, the potential loss facing the company was significant. In response, they partnered with an experienced repair and rework company familiar with high-volume product returns and well-versed in the processes required to quickly restore the product to first quality — Quality Corrections and Inspections. Since our business features facilities on the East Coast and West Coast, we could implement a fast return of the shoes. We then cleaned and sanitized the 60,000 pairs to first quality standards and returned them to the appropriate distribution center. The company posted zero losses in sales. At Quality Corrections and Inspections, we become a part of your reverse supply chain management and radically simplify and improve your company’s returns. 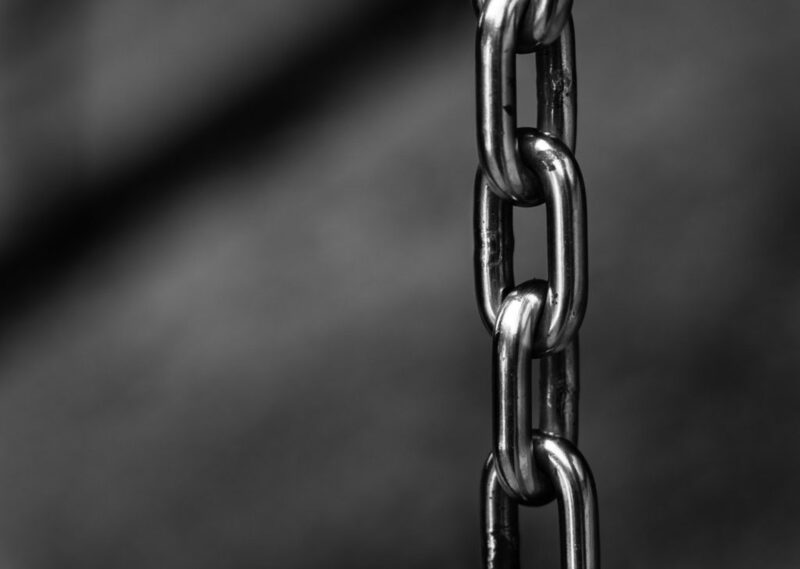 We are the missing link that preserves or adds value in record time, mitigating potentially enormous losses throughout your reverse supply chain by restoring or improving goods to a first quality condition. Learn more about our services by contacting us or browsing our case studies today.